Hi, I’m Bill and I own and operate Orr Electrical, LLC. I am a licensed electrician with more than 25 years experience helping homeowners and businesses with their electrical service needs. In this time, I think I’ve pretty much seen it all. The most important thing I’ve learned in all these year is the that customer satisfaction should always be the number one priority. Whether you just need a switch replaced or a complete service upgrade, I promise to provide you with professional and courteous service as well as provide fair pricing without sacrificing quality. When we leased a new $85k copier, it required a special receptacle installed with the proper voltage. We called Orr Electrical and they took care of everything. They installed the new outlet two days before the new machine was scheduled for delivery. Our new machine was up and running the day it was installed and we lost no production time. I was changing from an oil fired water heater to an electric one and need a 220v line installed. Bill from Orr Electrical came by and ran the new line from the electrical panel in my garage to my utility room. He was also able to use an existing breaker in my panel that I was not using which saved me a few bucks in parts. It only took a few hours and the price was reasonable. I was having my living room and dining room repainted and I wanted to have all the switches and outlets replaced with new white ones. My painter recommended Bill from Orr Electrical. I couldn’t be happier with the work he did and the new switches and outlets look great in my freshly painted rooms. Bill is a genuinely nice guy and I highly recommend him to anyone looking for a good electrician. In our time as electrical contractors we have heard many stories from clients about bad experiences with electricians and other trades, from tradesmen being late or not showing up at all or leaving a mess and even damaging property. 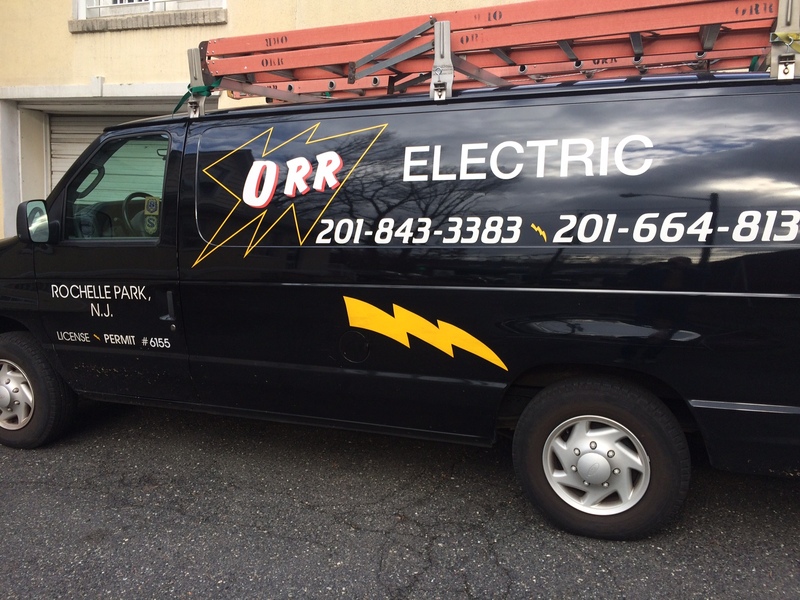 When you use Orr Electrical, LLC you can rest assured that at all times we will honor our service guarantee.